Jah Cure is a long established and successful reggae artist from Jamaica. He was born and raised in Kingston and is also known as the King of Lovers Rock and Roots Reggae thanks to his immeasurable contribution to the genre. 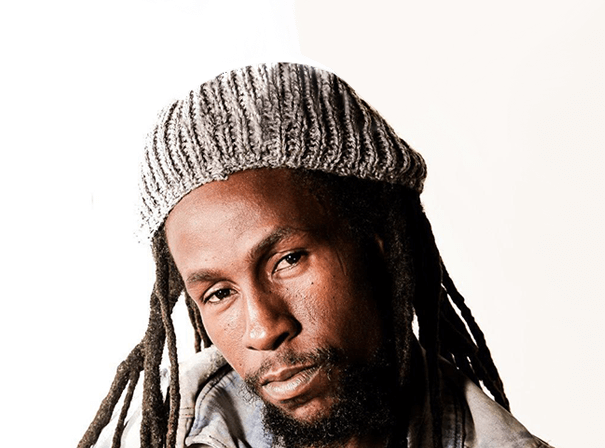 It was back in 1997 that he made his first big impression on the world, and that was with a duet, Kind of this Jungle, with Sizzla, produced by Beres Hammond, who later became Jah Cure’s mentor. Plenty more singles followed, all of which raised his profile around the world, and in 1998 Jah toured Europe before being jailed for various offences for 15 years. Whilst in prison, he put out three albums and many more singles and went on to top the Jamaican charts. ‘Free Jah’s Cure The Album, The Truth’ was released in 2000, then came ‘Ghetto Life’ in 2003 and ‘Freedom Blues’ in 2005. Songs such as ‘Love Is’, ‘Longing For’ and ‘True Reflections’ all prove he has a unique voice and lyrical ability, as have ‘Hot Long Time’ and “Unconditional Love” featuring Phyllisia. The pair married in 2011 and became parents to a baby girl in 2012, Jah Cure releasing his sixth studio album in the same year. Entitled ‘World Cry’, it proved he still had a lot to say and a unique ability to do so, and in 2015 came another full length, ‘The Cure’, which sat atop the Billboard Reggae Albums Chart straight after release. Over his long career, Jah Cure has consistently come up with the goods in the studio and on the stage, and today is very much as vital as he ever was.